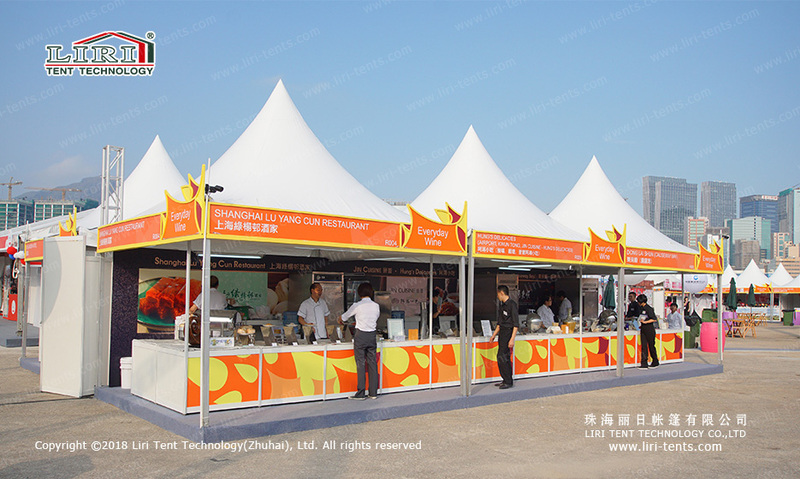 Pagoda marquee for sale is always popular products. 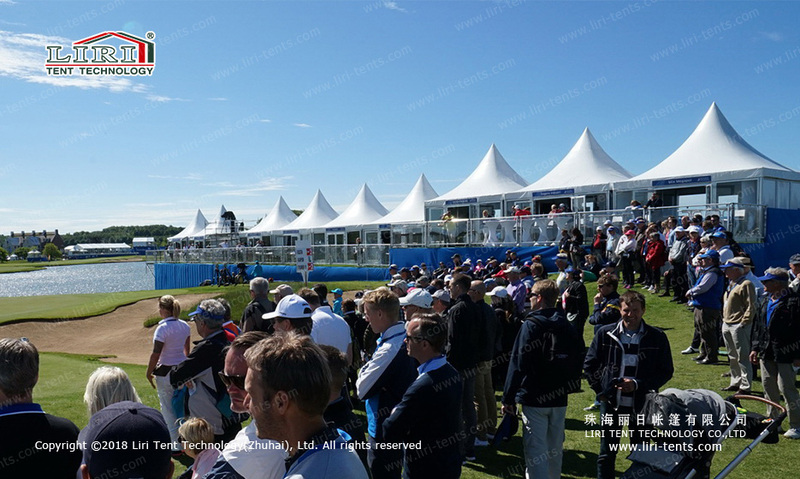 It not only has a tall spire of European-style but also with all design of simple and easy frames which makes storage and transportation become easier. 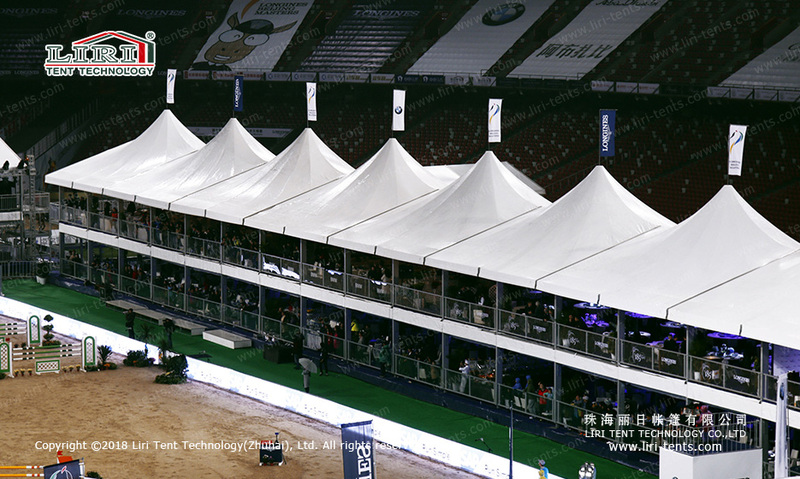 Pagoda marquees also are often used for different types of events and offer the perfect solution for spaces. 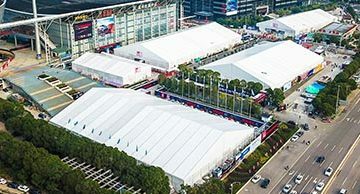 What’s interesting is the nether part of pagoda marquee for sale is cube shape and you can assemble many pagoda marquees in different shapes like Linear modular, square modular and cross-modular. 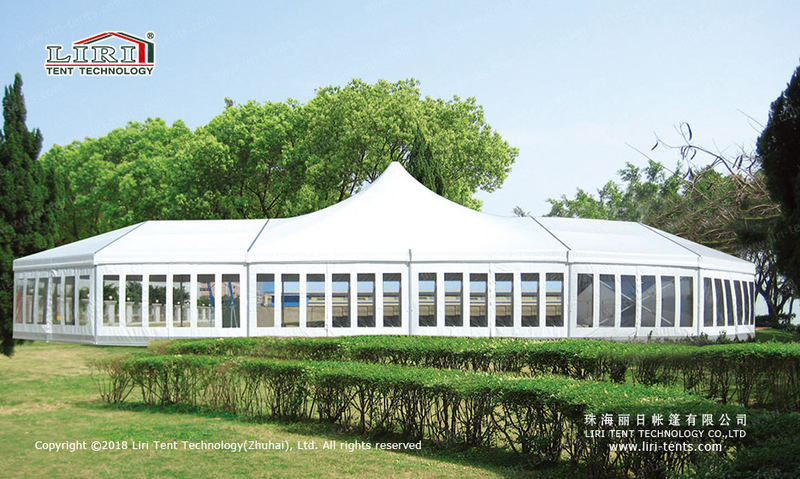 So internal space will become bigger and we have rain gutters for pagoda marquee connection to avoid water accumulation and blot. Keep the exterior surface clean and interior comfort, this is what we want for you. 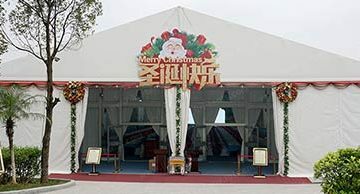 Pagoda marquee for sale has many sizes for the option. 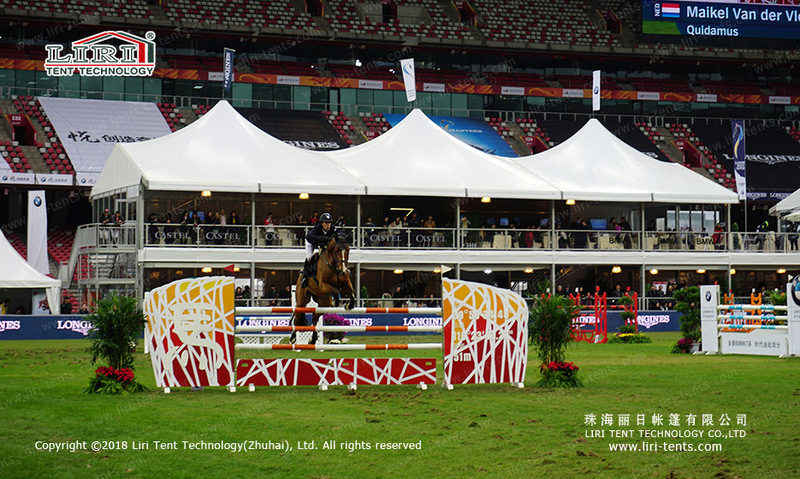 Normally standard sizes have 3×3M, 4×4M, 5×5M, and 6×6M etc. 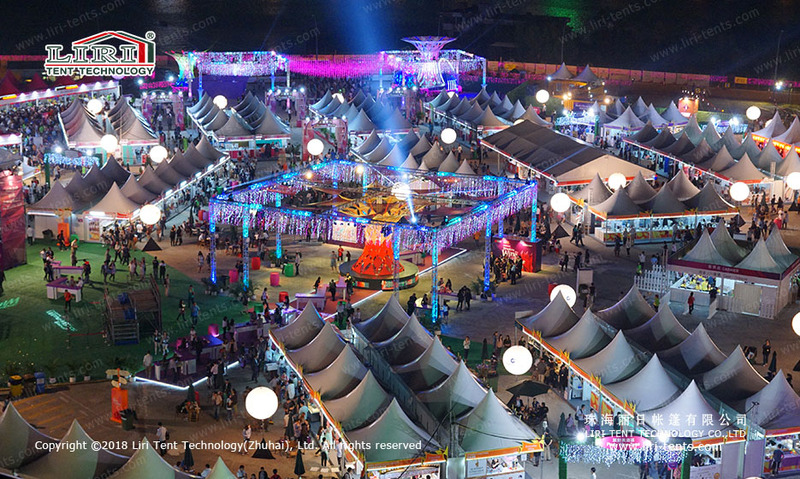 We can also offer professional customized service for diversified demands if clients do not like standard types. 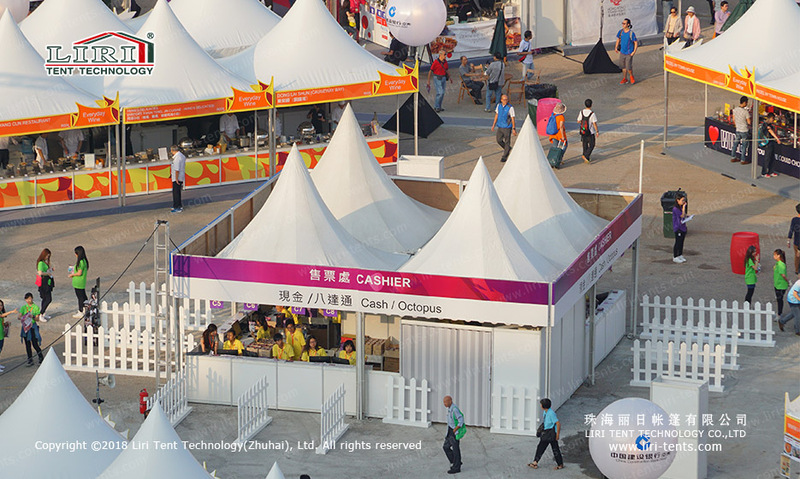 What is more, clients can also choose a pattern or logo on white PVC covers for commercial purpose which will be more attractive. No just façade, interior decoration is also important. 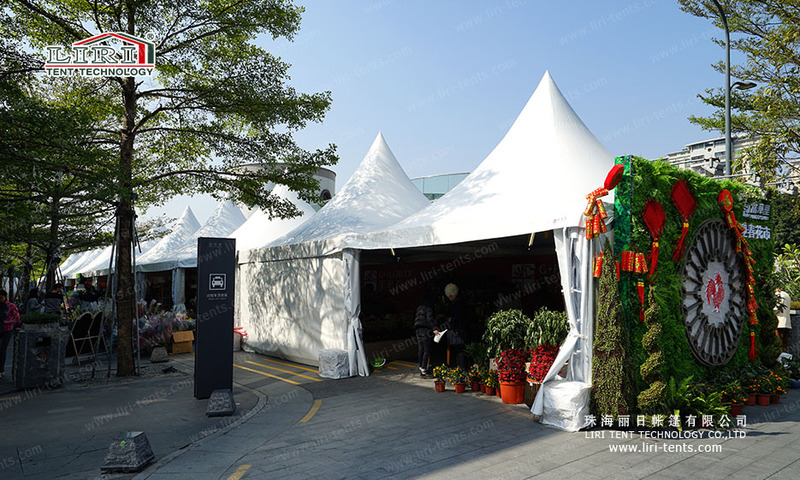 Comfortable surroundings can keep clients, that is why our pagoda marquee for sale have many accessories like glass walls, flooring, carpet, roof lining, AC, tables and chairs, lighting etc. 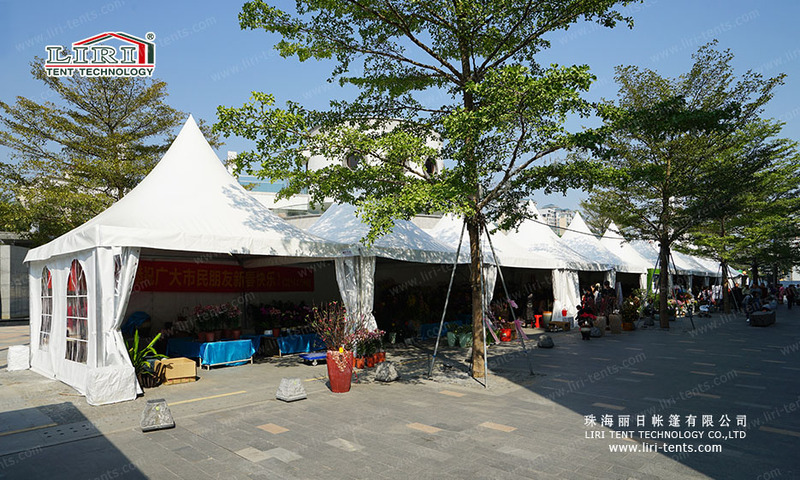 Different experiences just in LIRI pagoda marquees.